Exhibition Opening Success !! Thank You !! "The Quest" - My Solo Exhibition of Intuitive Art opened on 25th January 2015 , with 40 paintings on Display. The opening was a great success with huge participation as well as Sale. Lots of love and wishes showered , THANK YOU for all your support and Love !! If you could not make it to opening , I will be available at the gallery 7 & 8 February 2015 (Saturday, Sunday) 10:00AM -4:00 PM , do plan to come and visit !! One of the Attractions of exhibition was un-veiling of "The Change" Mandala , which I had been working over last 1 month. 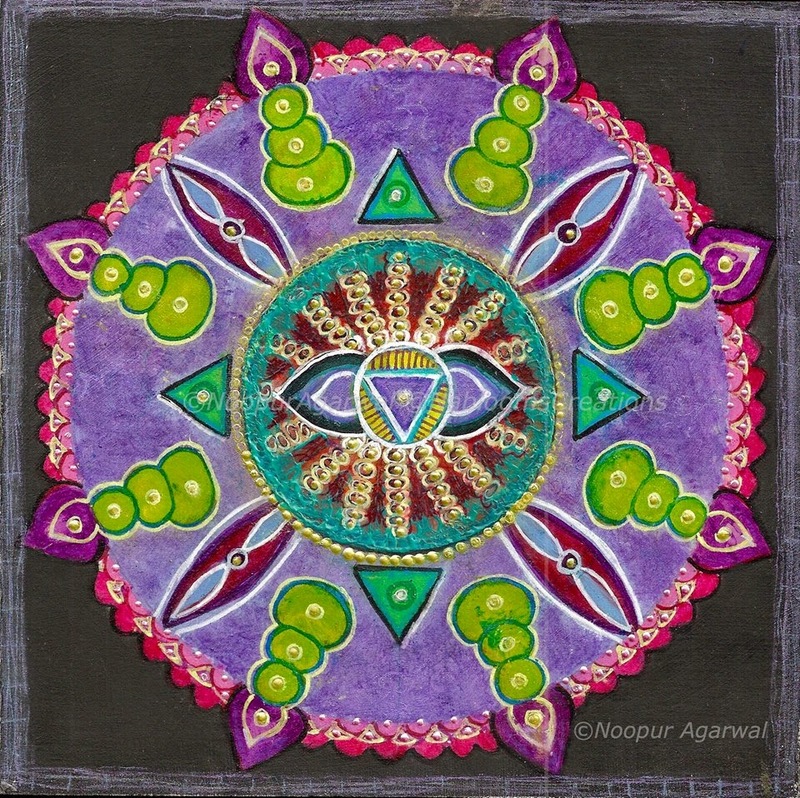 Its a Mandala made with energies of I-Ching (the book of Changes). Its Infused with powerful healing energies to help the owner go through changes with ease and bring positive changes in his life and the Society at large. The Mandala is now at display with other paintings till 25th February 2015. The day is arriving soon, the countdown begins !! After months of late nights and house and studio buzzing with Full activity , the time has come to take it all for a Public display . The solo Exhibition of my Intuitive work is opening on 25th of January 2015!! 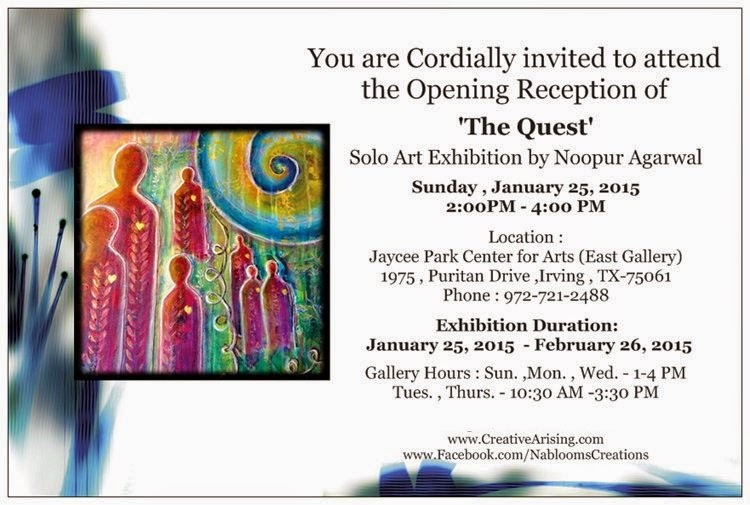 It gives me great pleasure to invite you to the Opening Reception of "The Quest" , to be held at Jaycee Park Center for arts , Irving on 25th January 2015 , 2:00 PM -4:00 PM. This opening day will also be will also be the Un-Veiling of a large Mandala Painting which I had been working over a month . The exhibition will be on display for a month 25th January 2015 to 26th February 2015 and will showcase 40+ pieces of my Intuitive artwork, including Healing Art work . It was many years back I started making Mandalas mainly as a decorative art . 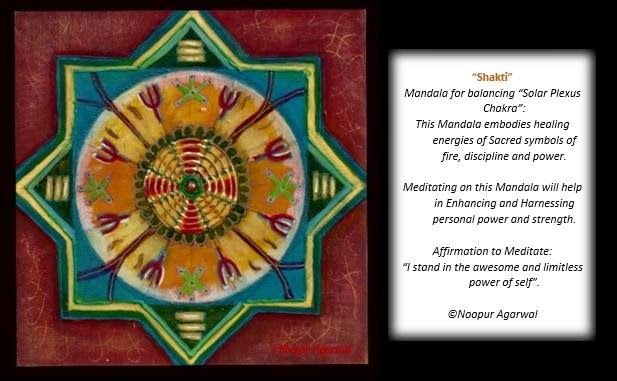 But it was when I started Meditatively connecting with Self through art , I realized the power the Mandalas hold in our life . Mandalas had been regarded as a powerful tool of representing mysteries and wisdom of the universe. Mandalas embodies in them not only the beauty and mystery but also holds answers to many questions of the Personal Spiritual Path. Using the Sacred Geometry and Sacred Symbols , the Mandala becomes a fertile ground of energy and brings with it a deep spiritual essence. It was when I saw them beyond their beauty and realized their true wisdom and energy with immense healing effects in my own life, I knew its time share it. 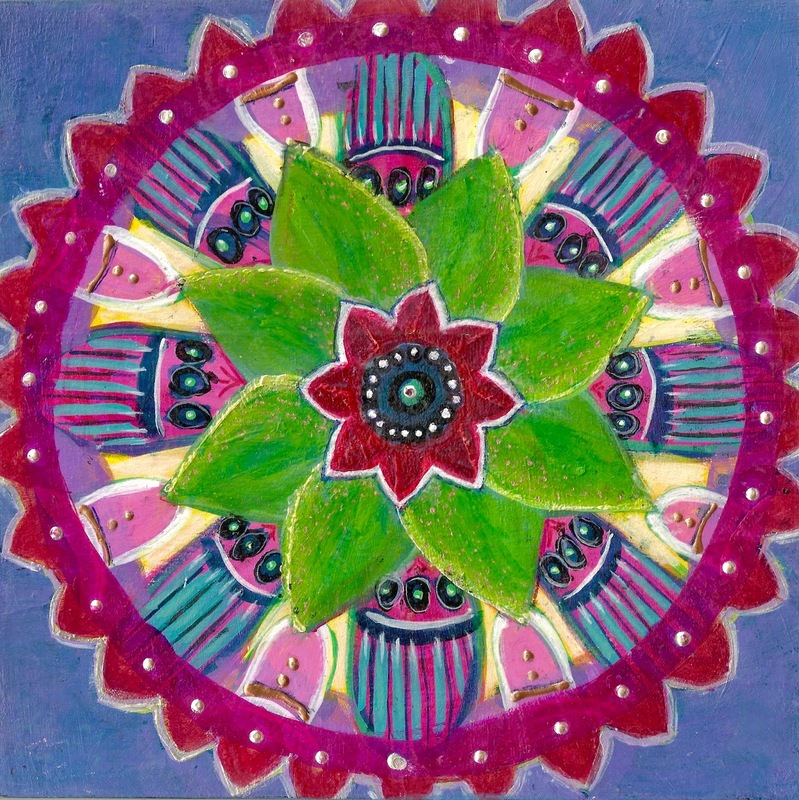 The process of making a Mandala is not only very calming and meditative , but has a huge potential of releasing energy blocks and help us heal in many ways. Its a process of bringing "order" to "Chaos" by repeated patters and at same time bringing clarity to self in wholeness of our Higher Self and universe. 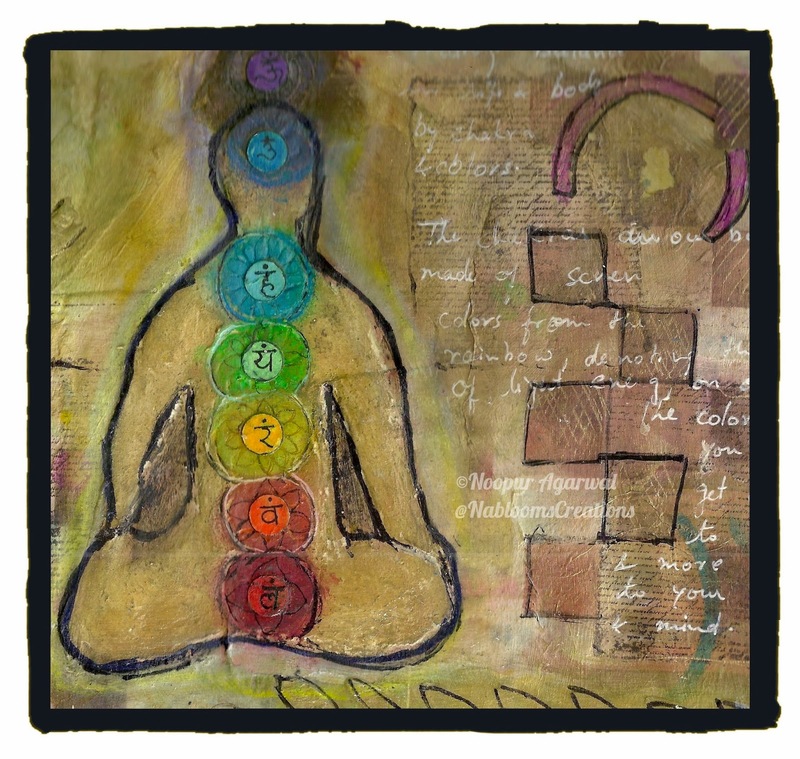 Down the Memory Lane : "Chakra Meditation" My first Encounter !! It was in the most unexpected way I got introduced to "Chakra Meditation" and Art of making "Mandala" about 13 years back !! I had joined a new job and was to go through 2 month long grueling training on various software concepts, along with 30 other new Joinee. Early morning, dressed in our formal attire, we came out of the bus looking forward for a new promising life in IT , money , success and probably an Onsite trip. This was my 3rd job and was expecting to be escorted to a big room for training to be bombarded with Jargons and technical Mantras. Instead , we were taken to the back of the building in a covered yet open area and were asked to lie down on Mats, by this very sweet lady , who was one of our training coordinator.No computer or projector as anyone will expect for IT training, not even table and chairs - just an open space. Made us confused and uncomfortable !! Hesitant we lied down on the mat staring at the ceiling , "what next ? ", and then came a heavy yet calm male voice "Close your eyes and visualize...."
Still confused , I followed the instructions , and soon was feeling very relaxed. Time flew and I guess I had dozed off , till I heard the sweet voice of the coordinator asking us to sit up . Later were escorted to the normalcy of breakfast and then the "real" training room of our imagination - large room with tables chairs , projectors and a series of Jargons !! This schedule continued every single day of our training - and sleep-deprived us , used to look forward for this extra hour "official rest" in workplace followed by an affirmation chanting which made our IT dream of fame and wealth look real " Day by Day, in every way , I become Healthy Wealthy, Happy & Wise". Days Later we came to know that we were being put through a "Chakra Meditation" to help us feel more energetic and manage stress of the long training we were put through. That heavy voice, as we learnt , was of a Spiritual Guru in India with a long difficult name I could never get right !!! :). Since then , Chakra Meditation part of my routine and I experience many benefits(will share them sometime). 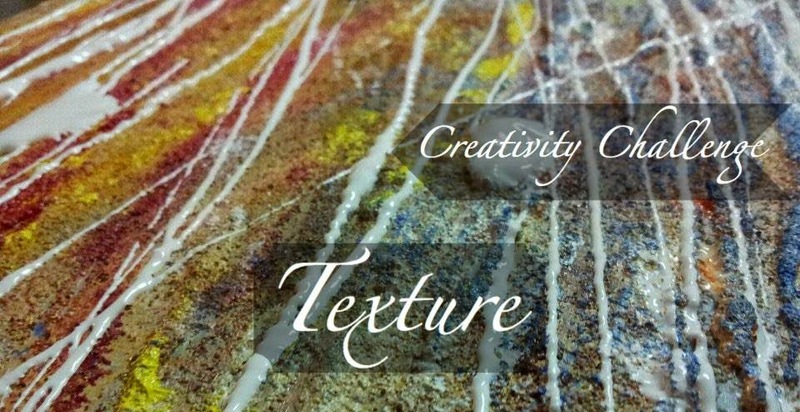 Here is something to inspire and tickle your artistic buds ... A Creativity Challenge on Texture ..running till 15th Nov on my Facebook page, come Join and Participate!! The Emotional Burst called "Writing"